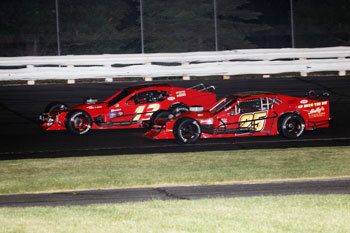 (Stafford Springs, CT)—Over the past several seasons, Rowan Pennink and the #25 Gary Casella owned team have proved to be one of the cars to beat at Stafford when it comes to VMRS or open modified shows. Pennink has 3 VMRS wins over the past three seasons and he ran among the leaders in the June 8 Open Modified 80 before finishing fourth. With the Bud Light Open Modified 80 set to take the green flag on July 13 at the Connecticut half mile, Pennink will be looking to add another win to his victory tally. 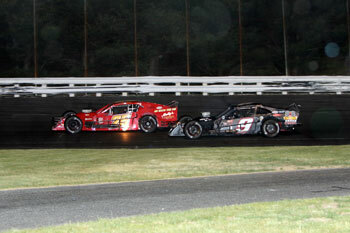 The Bud Light Open Modified 80 allows teams a total of 6 tires for qualifying and the race, allowing for teams to change tires during the 80-lap run. Pennink ran among the leaders in the first half of the June race but after the tire change his car wasn’t quite as good in the handling department and he finished fourth. Pennink says that a little different strategy could see them once again fighting for the win. 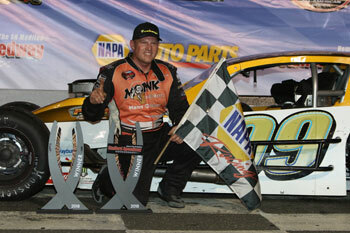 As well as the Bud Light Open Mod 80, Pennink will be looking to add another SK Modified® feature win to his credit. The 2018 season began strong for the #99 NAPA Van Wickle Auto Supply team with a win and top-6 finishes in each of the first 5 races, but he has managed only one top-10 finish in the last 5 races. With the TC 13 Shoot Out and $1,313 going to the winner, Pennink is hoping to get his season turned back around in a positive direction.